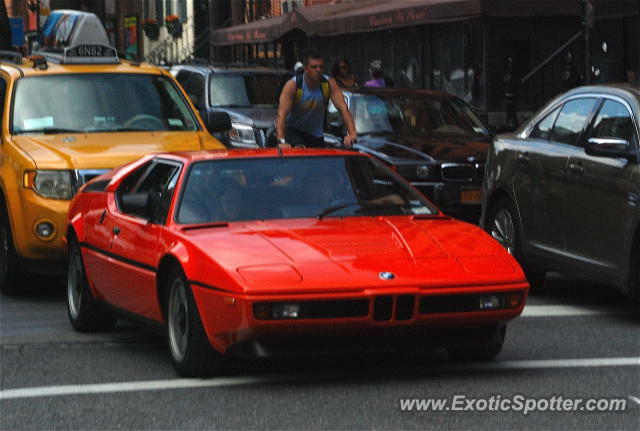 I saw this amazing BMW M1 in manhattan. I took it at the last second so its a little blurry. OMG these are so rare! Great Find! Awesome spot! I really want to see an M1. It's such a nice car that BMW needs to make a successor to.